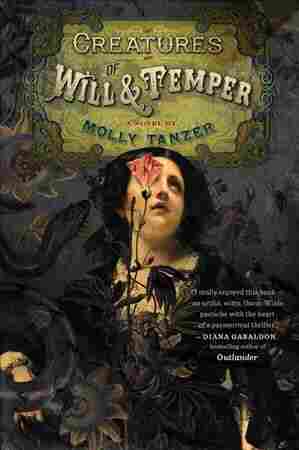 'Creatures Of Will And Temper' Is A Slow-Burn Slide Into Deviltry Molly Tanzer gives us a seductive, alternate version of Victorian England in her new novel — by turns smoky and smutty, wondrous and louche. And then, embedded carefully in that world, demons. The biggest problem with most urban fantasy is that, by nature, it becomes alternate history. It's Renaissance Italy, but with vampires. Or Victorian England, but everyone wears cool goggles and has an airship! And there's nothing wrong with that. There are stories out there that have done wonders with their skewed versions of our shared past. I'm just saying it's rare for a writer to be able to do one (insert a fantasy element into a historical setting) without doing the other (letting the dragons eat the townsfolk, thereby giving rise to Bert the Dragonbasher, hero of West Crudwell, or whatever). And when someone pulls it off as well as Molly Tanzer in her new novel, Creatures of Will and Temper, it's worth checking out just to see the restraint and careful worldbuilding gymnastics required. Honestly, if that was the only thing Tanzer accomplished here, I'd be impressed. She has created a Victorian England which is, in all noticeable ways, exactly the Victorian England we know — the mother of our modern world, by turns smoky, smutty, gross and backward, then beautiful, wondrous and louche with the turn of a corner. And yet, embedded in it — woven so closely into the fabric of normalcy that almost no one can see it — Tanzer has given us ... demons. Not churchy demons, but sensualist demons, poorly understood save by a few, existing mostly as folklore or as watered-down sermon-fodder, but real, dangerous as hell, bound to humans as the vessels through which they experience this world, and sort of Lovecraftian in their other-dimensionality. And while this is a neat trick — a slow slide into diabolism stretched out over half the book, giving us another world hidden right inside the one we've always known — it isn't Tanzer's only one. What she has done with Creatures is offer a gender-swapped Picture of Dorian Gray, with Wilde's sense of class-outrage-as-humor intact but a more meaty feast of reward and punishment. Her story concerns sisters Evadne and Dorina Gray. Evadne is older, rigid in her manners, careless of pretty dresses or lovely gardens. She is a fencer — a warrior who, early on, has her heart broken by the boy she's loved since they were children and carries that spite with her for a hundred pages. Dorina is the opposite — young, beautiful, excited about everything. She dreams of going to London and becoming an art critic. She is also gay, and though she's done her best to hide her true self from those around her, when Evadne spots her having a fling with the latest in a series of local girls (and then tells their mother about it), Evadne is sent with Dorina to London as her chaperone for a trip to visit their uncle Basil — an artist about whom Dorina intends to write. Tanzer's slow, languid steps through her Victorian England give the novel a slow-burn quality that can lull you. And okay, I get it. Some of this sounds a bit trite. Evadne has a miserable time looking at gardens and galleries and loathes Lady Henrietta "Henry" Wotton (Uncle Basil's friend and the book's window into diabolism) even though Dorina instantly falls in love with everything London has to offer, Henry included. But trust me when I say that the languorous pace and Tanzer's exceptional grace with writing complex female relationships make it all a lot less operatic than it sounds. "I am perfectly serious when I tell you that we here, in this room... We are committed to stamping out fell being who influence this nation's citizens, who turn them from God and from country, who infiltrate and insinuate themselves into our hearts and minds. I'm speaking of ... demons." Yup, demons. It happens just that fast. Until you think a moment and realize that, no. Tanzer has been teasing this for a long time. That they figured into the first pages of the book. That we knew they were there all along, but had forgotten about them (at least a little) while she was showing us the sights. That line comes from a speech about midway through the book and, from that point on, everything accelerates considerably. The three women at the center of Tanzer's story each entered into it looking for something. They're each more than they appear at the start, and less of the worst things you think of them. They all grow and change by their relationships with each other, are altered irrevocably by books and blades and paintings. And by the end, none of them will find (or be) exactly what you expect.